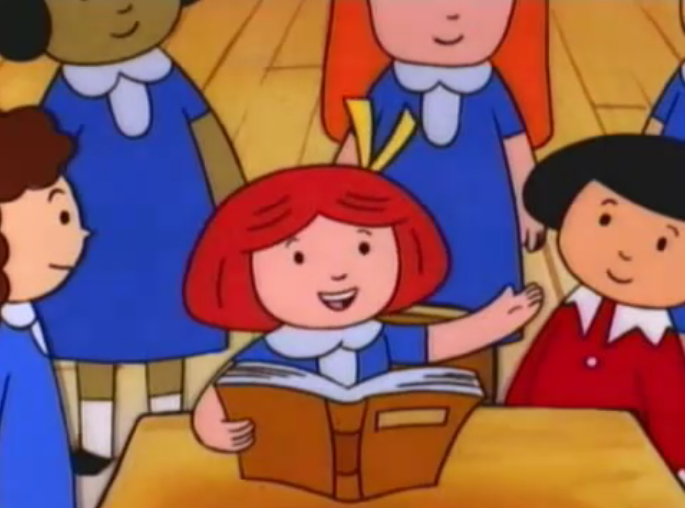 The Animation in Madeline is crap-poo. No, actually it’s worse. It’s not even bad enough to be delightful. No, it’s honest-to-god poo. But what makes it so bad besides every damn thing? Well, I will list three things because anymore analysis on this, is going to drive me to insanity. 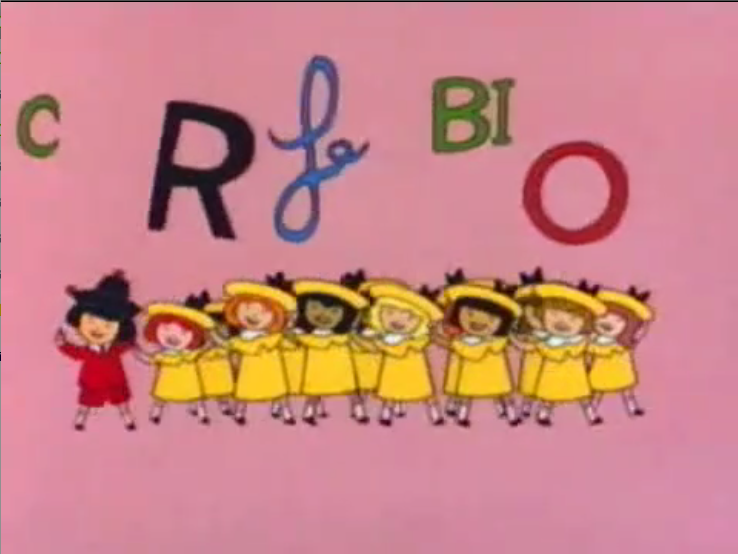 The animation in Madeline is abject, unfiltered, pure laziness. Anything that could be good and endearing is trashed by the immense awfulness of the animation. The character’s motion are stilted and awkward. The repeat animation is laughable. 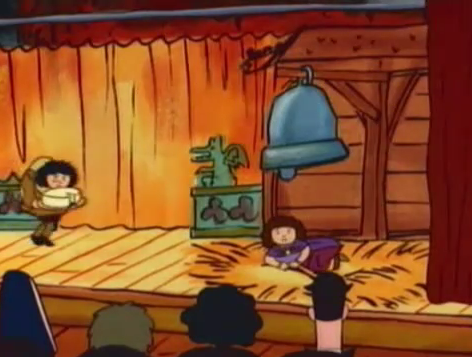 The use Pepito as Madeline in a long shot which make it a continuity error. I’m sure this show has a LOT of them. There are dozen upon dozen still frames to pad out the ghastly time. They also you a dissolve transition to get the girls to turn at the end while they are brushing their teeth. Also that is another continuity error since it has the girls in their “magnificent” day clothes but the shot before that they were in their nightgowns. So much laziness in this show. 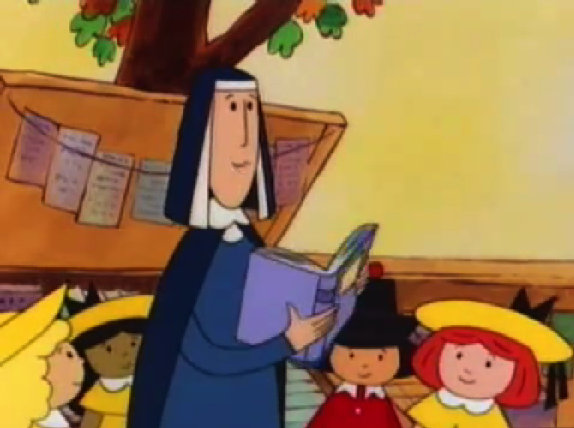 The animation in Madeline is one of it’s biggest failures. it hard to really get passed the crappy animation. I mean one could if the story and characters were interesting but they are not so the bad animation is really inexcusable. It really is just crap-poo. 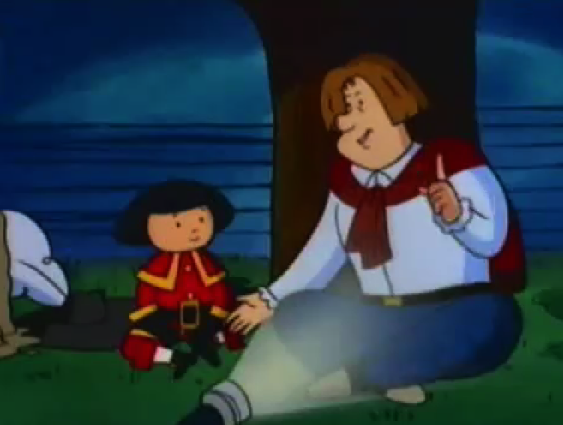 It seems even the show is aware of how copy-and-paste the character designs are, hence the recycled Pepito scene. 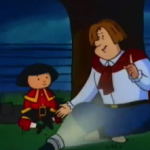 All you’d have to do is color his hair red and you would never be able tell Madeline and Pepito apart. Sort of reminds me of what Disney is up to nowadays where all of their lead heroines look exactly alike. I suppose variation is too much to ask for. Btw, if the animation in this horrified you, I can only imagine what the Dingo version did to you @_@ LOL.